RANCHO PALOS VERDES, Calif. (March 10, 2015) – Trump National Golf Club – Los Angeles, one of the most spectacular golf courses in the country, will host the 33rd PGA Grand Slam of Golf, Oct. 19-21, 2015. The showcase of major champions is part of a multi-year agreement between the PGA of America and the Trump Organization. It marks the event’s first return to the U.S. mainland since 1993. Golf Channel will televise the event beginning this year. In addition, PGA Grand Slam week at Trump National Golf Club – Los Angeles will feature the 2015 PGA Junior League Golf Championship, Oct. 17-19. PGA Junior League Golf is the key youth program of PGA REACH, the charitable arm of the PGA of America. The program is designed to be a fun, accessible and inclusive opportunity for boys and girls ages 13 and under to learn and play the game of golf. 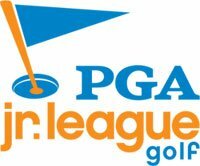 The 2015 PGA Junior League Golf Championship follows an explosive 2014 season of growth with 17,500 boys and girls participating on 1,425 teams. During PGA Grand Slam of Golf Week, eight 10-player teams matching East vs. West regions will compete in a two-person scramble format, with coaches allowed to substitute every three holes in order that all team members may participate. The final matches at Trump National Golf Club – Los Angeles will be Monday, Oct. 19.